….there is this paradox. This tension. This polarity that we all carry around between what we can control, and what we can’t. That which, when our hand is on the wheel, we can actually steer. And that which exists outside of our power, will, and dominion. That which is simply going to do what it is going to do. ….Wisdom comes from making peace with the tremendous power you have and the tremendous powerlessness you have. And learning to live the questions. It was a grey Monday here. There have been an awful lot of grey days here this summer. But this Monday hung particularly heavy. I worked outside much of the day – digging, digging, digging. One thing led to another as I pulled weeds, moved huge rocks, dug out shrubs and ultimately disassembled an overgrown mess of an old fountain feature in our new-to-us side yard. I hadn’t planned to take it apart and completely clean out when I started to dig that morning, but by the time I found a place to stop it was 4pm. I had worked through lunch and missed my window for afternoon coffee, but before a shower and dinner, I swapped garden clothes for running clothes and laced up my shoes for an easy hourlong run. 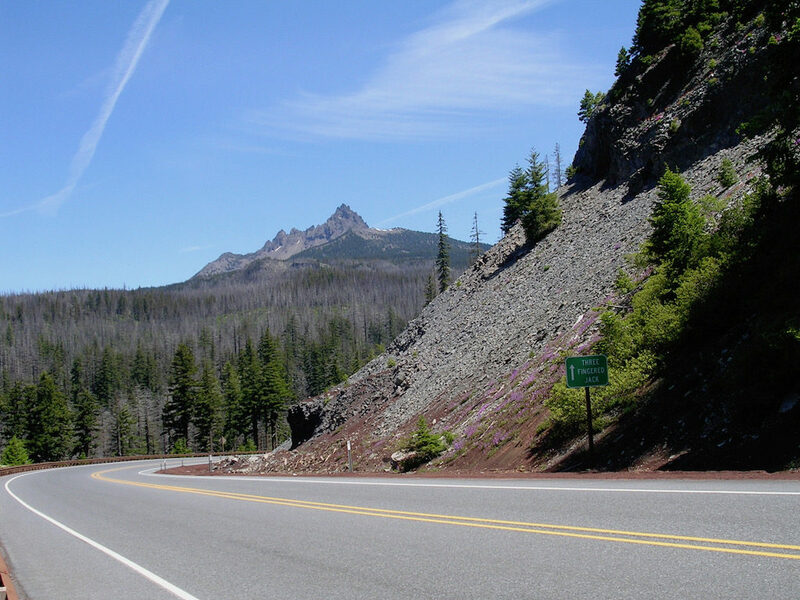 Wearing shorts and t-shirt, I felt the bite of a just barely 60 degree day as I headed north through town to the head of the Coastal Trail, where a downtown city street dead ends and the trail begins. It was the last Monday in June. A grey day so much like this one, in fact. Mountains in my view. Chill air filling my lungs. I’ve written about that day before. Of course. Over and over and over I try to make sense of what happened to me that Monday morning in June, thirteen years ago today. A brain injury is a thing. A frustrating, confusing, messed up thing. It changed my life. It still frames my life. As I ran the trail Monday afternoon, I moved at my target pace with ease. My training has been good this season. I could feel strength in my legs, the determination of my will, and the rhythm of my every breath. My body is jennifer-strong these days. I sense the edges of my strength and I am careful there. Off the trail, through the neighborhood, and up a final hill just because I could, I ran to the end of my hour with no trouble. Except for that weight that had been pressing against me all day. All that digging. A solid, good training run. Yet there was….something. I couldn’t yet name. Later that evening as the boys sat around the TV watching an episode of Chips, I put on a coat and went out for a wandering walk. Rain began to sprinkle as I got close to the lagoon so I pulled up my hood and hunkered in. I stopped there awhile and watched the mass of birds out on the island. So much activity in this season of babies. It all seems chaos to me. Screeching gulls fly to and fro, gaggles of geese march around calling out with their own loud voices, and terns dart about on the wind. Closer to shore, I watched a quiet duck dive under water and emerge in a different spot a few minutes later. Over and over. Minding her task, eating an evening meal against the soundtrack of all that noise. After awhile the rain stopped as gently as it had begun and I pulled my hood off and started to walk again. As I walked I realized that I finally knew what I’d been struggling to name all day. It was sadness. 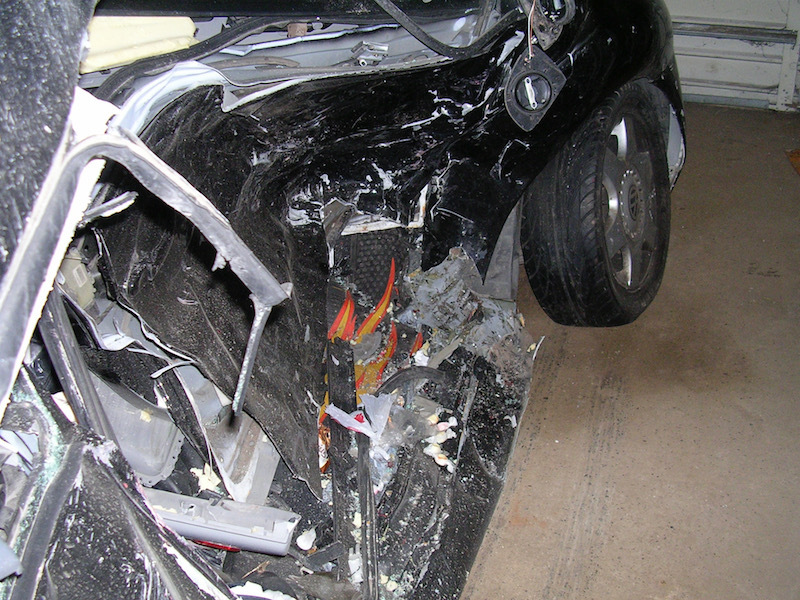 On this grey day, the last Monday in June, the 13th anniversary of that car accident…..sadness. 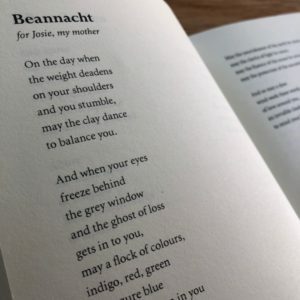 Beannacht by John O’Donohue. You can hear him recite it here. There is really nothing you must be and there is nothing you must do. There is really nothing you must have and there is nothing you must know. There is really nothing you must become. However, it helps to understand that fire burns, and when it rains, the earth gets wet. My AP English teacher pointed us to this quote – attributed to Zen wisdom – just before high school graduation in Spring 1994, and it popped into my head while I was shelving books at the library the other day. Because….fire. I was thinking about how it does burn. There was a custom paint job on the VW that smashed into our car high on a mountain pass in June 2005. Orange-gold flames crumpled and dying, but not before sparking fire in the stuff of my life. I stopped by the Brain Injury Association of Alaska this morning to see what they’ve got going on. Awhile back a friend suggested that I might find a place to contribute there – tapping my background in nonprofit communication work, perhaps I could volunteer, network, find a path. Since I gave up my teaching career long ago and seem to be chronically looking for the path (and expecting to be finished with my work at the library by the end of the summer) I thought perhaps now could be a good time to check the BIAA out. But truthfully, though I couldn’t verbalize it yet, there was much more behind my “stop on a whim” today. Located on the first floor of a quiet midtown office complex, the BIAA office was easy to find. At first I thought it might be closed, the lighting inside was dark and the time was noon hour, but when I tried the handle on the door it opened into a large, emptyish room. Two ladies were sitting on a couch at the edge talking quietly with a large dog sprawled out, dozing at their feet. I stopped in the entry and glanced at titles of brochures on the wall: “adults living with brain injury” … “finding support after brain injury” … “life after brain injury: a guide for families” ….on and on. There were many. As I stood orienting to the room and wondering what to do next, a lady emerged from a back hallway and walked across the empty space to greet me. I didn’t really know how to start or what I hoped for exactly, so I told her my name and that I was just curious to see what they offered there. She told me a couple things I already knew from their website and then asked me what my interest was. Right there. My brain flooded and I lost my bearings. Tears rimmed my eyes as I struggled to focus and find words to explain myself in that moment. I stumbled through some stuff, backtracked, and repeated. She was gracious and kind. Serving up first impressions for volunteering and networking, yikes! But looking for a brain injury support group, I nailed it. And really….that. is what I was looking for. Because one thing I know full well 13 years later. 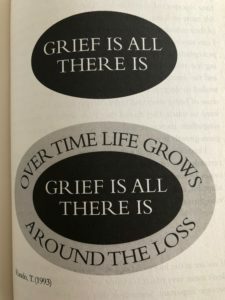 Grief is not a staged out checklist. 'You don't get over grief, you just learn to have it as part of your life. 'This analogy of how we deal with bereavement is spot on.